“International treaties can exert pressure on national governments to pay attention to certain policy goals, how they choose to implement these goals is up to them. Kelly Heber Dunning (PhD ’16) examines the challenges facing countries that have signed on to the International Convention on Biological Diversity (CBD). Using a comparative case study of relatively similar (endangered) coral reefs in Indonesia and Malaysia, Kelly looks at the results in the two countries. She discovers (using a variety of underwater monitoring strategies and detailed surveys and interviews) that Indonesia’s co-managed system (government and villages) is more effective than Malaysia’s uses a top-down network of federally managed Marine Parks. Her findings go beyond what the research community has been able to document thus far regarding the advantages and disadvantages of alternative common pool resource management strategies. This is the second year that I’ve been invited on as a teaching assistant for the MIT Sustainable Development Practicum course. We bring 15 masters students who then group themselves according to interest and study some of the many topics within sustainable development. The great thing for me is that in the final week, I was able to take a small group of students and focus on an issue having to do with my own research on coastal resource management. 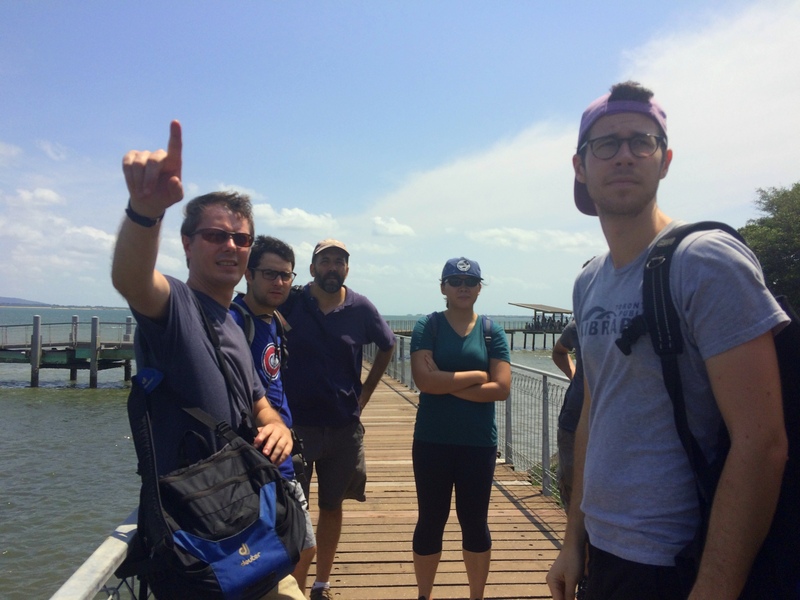 Thanks to Professor Dan Friess’ help from the National University of Singapore, we were able to plan several days of learning excursions for our students organized around the theme of reclamation on urbanized coasts. All of the participants this year, plus short bios can be viewed here. 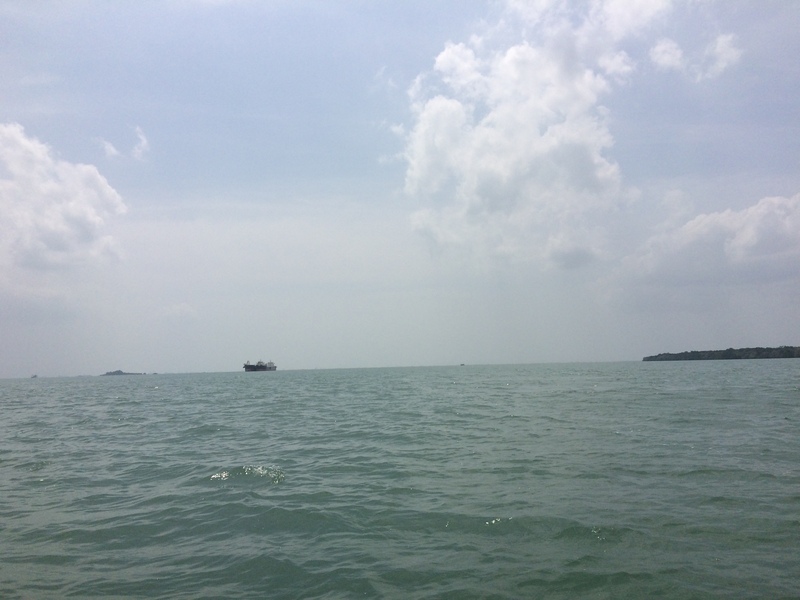 We wanted to explore coastal reclamation in the Singapore and Malaysian contexts, since so much of it is occurring on the waterway that separates Malaysia from Singapore (by a thin tidal strait). 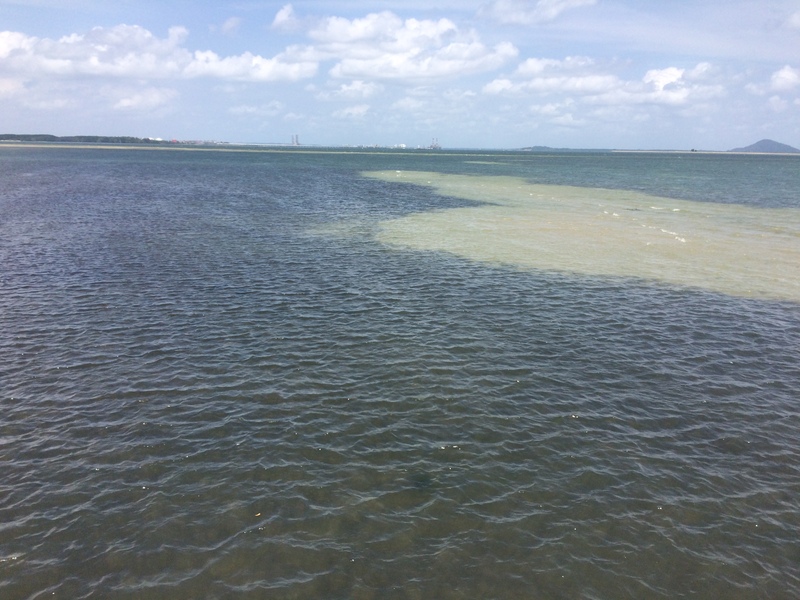 With reclamation also comes issues of stressors to the coastal environment including those to nearshore fisheries, mangroves, sea grass beds, mudflats and migratory bird habitat; relocations of coastal villages; and trans boundary issues with impacts on one coast spreading to the other side of the geo-political border. There were a shocking amount of geopolitical considerations, including border disputes between Singapore and Malaysia, as well as social issues such as the relocation of entire villages. We began in Singapore examining a previous site of reclamation that ended up being disputed by Malaysia under UNCLOS (United Nations Convention Law of the Seas) arbitration in the 1990s. 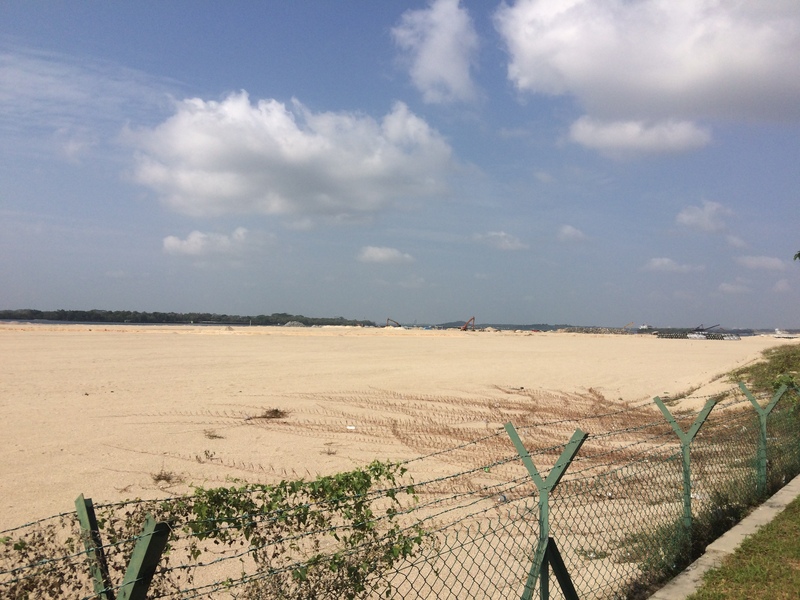 This set the scene for our second visit, this time on the Malaysia side, where they are doing massive reclamation projects from the causeway linking Singapore to the Danga Bay. The irony is palpable since Malaysa took Singapore to an UNCLOS arbitration tribunal to prevent this same expansion. 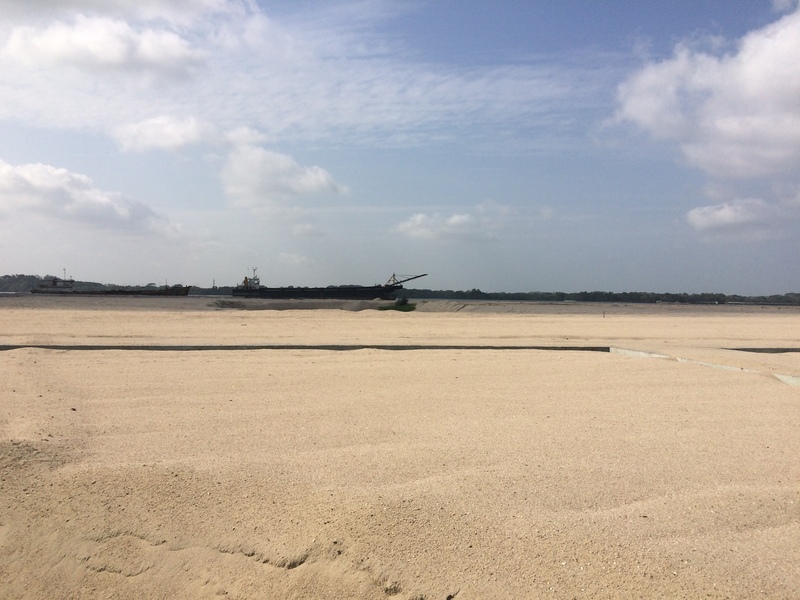 The final day’s visits took us to the mangrove villages adjacent to the world’s fastest growing port, Tanjung Pelepas also known as the PTP complex in Johor, Malaysia. There one can find another planned reclamation project which gained a lot of attention in recent months since it bypassed the environmental impact assessment project and dumped millions of cubic meters of sand on peninsular Malaysia’s largest sea grass bed, home to its dugongs and bordering not only a Ramsar site but also a national park. We visited a relocated fishermen’s village that the PTP and government officials forcefully relocated for reclamation purposes. From the 1970s to the 1980s, Singapore tried and expand its military base on Tekong Island and on Tekong Kecil. It reclaimed the space between these 2 islands and turned them into one, and enlarged them. In the 1990s, they wanted to expand Tekong Kecil to the coasts of Palau Ubin, but Malaysia took the case to UNLOS and disputed it. 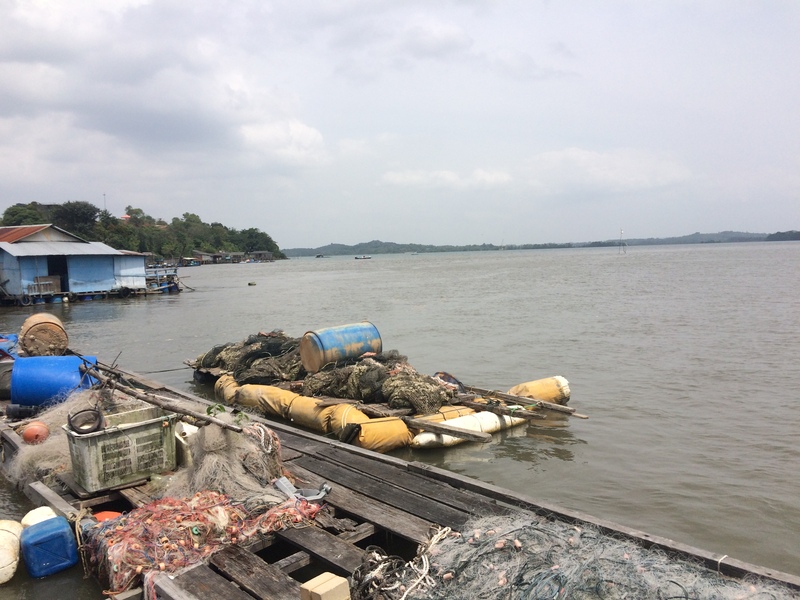 Johor politicians alike complained that Singapore did not consult them in this planned reclamation, that it affected local Malaysian livelihoods in the fishing villages in Johor, and that it restricted their access to the port of Pasir Gudang. 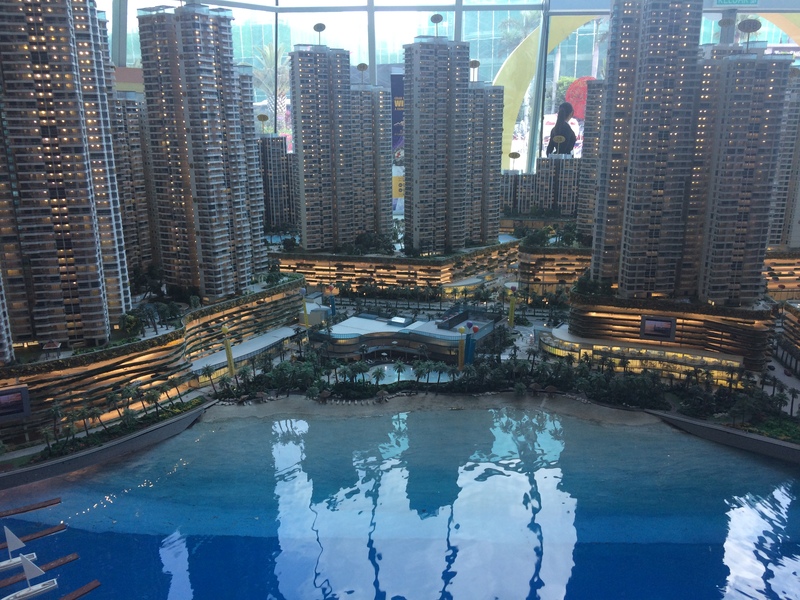 During this trip is became clear that the same Developer (County Gardens of China) that is responsible for the massive Forest City Proposal (in conjunction with the Sultan of Johor’s own company) is also the same one doing all of the reclamation along JB’s coast. Given its ties to the Sultan this project will be pushed through. Caption: A reclaimed bit of land, you need to sneak around and look through holes in big fences to see this stuff. Caption: Passed through police barrier to see this view. 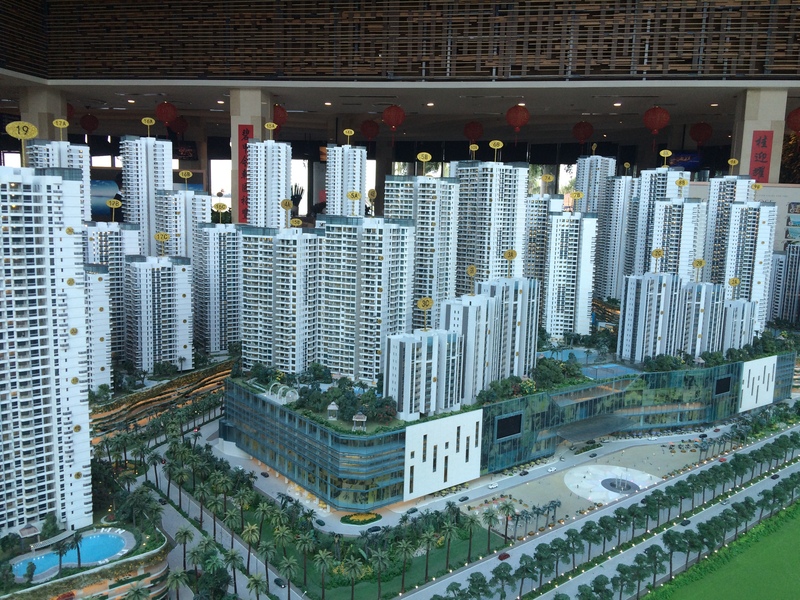 The Forest City Reclamation is controversial and it is in the news. 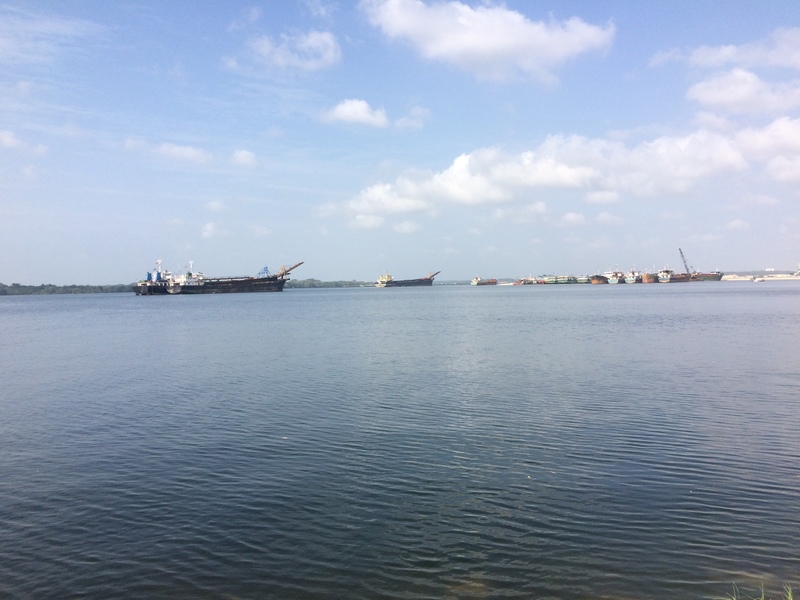 What many people do not know is that the Port of PTP is also undergoing reclamation that is doing a lot of the same environmental damage that Forest City is doing. 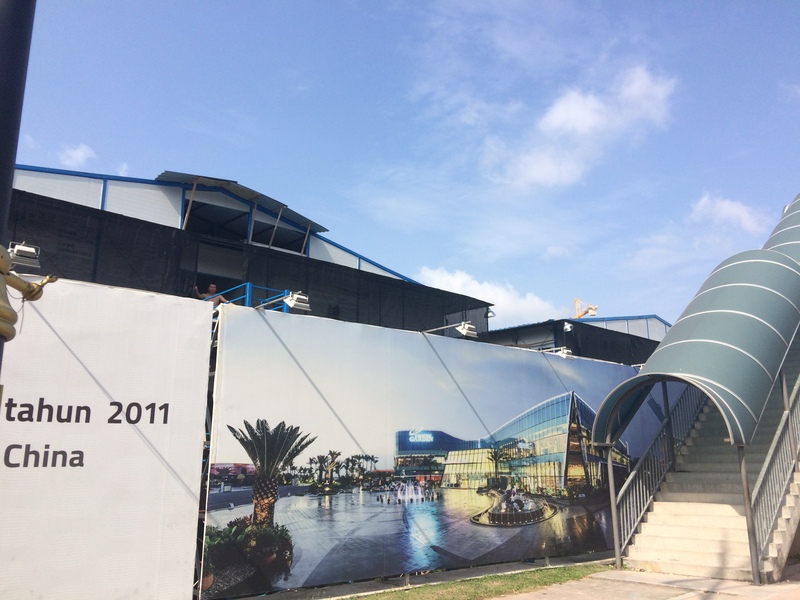 There were several sites where they cleared land and rented it to Forest City (for migrant dorms and so on) and are letting Forest City get the criticism when as soon as Forest City finishes, PTP will undergo expansion. Resettlement and evidence of entire villages being moved in preparation for Forest City is everywhere. There are organizers working in the main village to advocate for the people who live there and depend on the ecosystem services provided by sea grass. We made contact with one and we learned her story of teaching the children citizen science. Caption: This is the relocation site. This is a village of fishermen across the water from the Jedi Pendas, this village is called Kampung Pendas Baru (Baru means new in Malay) because the original Kampung Pendas was evicted to build a resort. These homes have no water access for the boats, and now the builders have informed the relocated people who live here that they will be kicked out in 2 years. 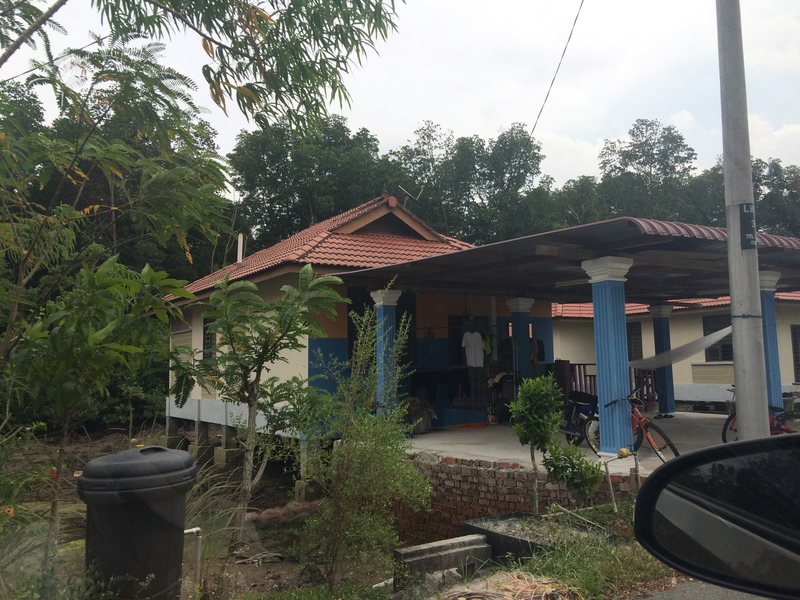 Caption: Kampung Pok where there is real resistance to the Forest City Project that is better organized and more coherent than any neighboring village. Neighboring villages have many factions while the head man here has assured a unified front. Caption: this sis high tide so the sand cannot be seen. This is the future Forest City site. PTP port complex is on the right, a tanker is in the center. The interesting thing here is that they’re going for this luxurious high rise on islands thing, when really all they have is a view of tankers, oil and gas, a power plant, and silt plumes. Caption: The forest site where the children in Kampung Ladang were trained to do citizen science. Last week, Iain Dunning and I created a tool for SE Asian communities to better manage their mangroves, fisheries, and costal ecosystems. Iain did the coding, and I the data compilation and conceptual framework. During the sustainable fisheries session at Our Oceans 2014, Dr. Sylvia Earle asked a poignant question that received a lot of audience attention: how can we better account for the non-consumption value of our global fisheries? In other words, nowadays we are able to assign a value to the fish we land and then sell at market, but what about the fish that we purposefully allow to remain in their fishery? I would extend Dr. Earle’s question, and also ask how can we account for the non-consumption value of not only fisheries, but also the ecosystems that enable productive fisheries like coastal wetlands, mangroves, and coral reefs? How can we balance poverty in developing countries with the need to earn an income from the blue economy? And How can we account for a mixed-use scenario where stakeholders purposefully take conservation measures and still readily extract from the fishery for income and livelihoods? 3) and overall, a more complete picture of human welfare. and perhaps most visible: the clearcutting of the local mangrove forest to make way for more aquaculture pens. Small-scale farmers in Southeast Asia are often faced with a major decision that relates back to Dr. Earle’s question. Do I add more ponds now, and increase my income in the short term, or do I selectively add ponds, retain mangroves, resulting in fewer earnings now, but over a more long-run time frame? 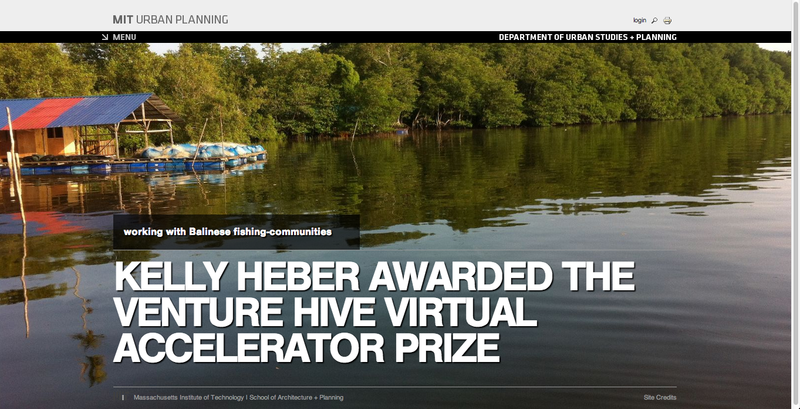 How does CaptuRED help empower aquaculture communities to make more informed economic decisions? Captured has two functions to accomplish this. First, in its planning section, we use data from over 60 published studies that quantify non-use value of habitats and local ecosystems to reveal the true costs and benefits to farmers over the long and short term. 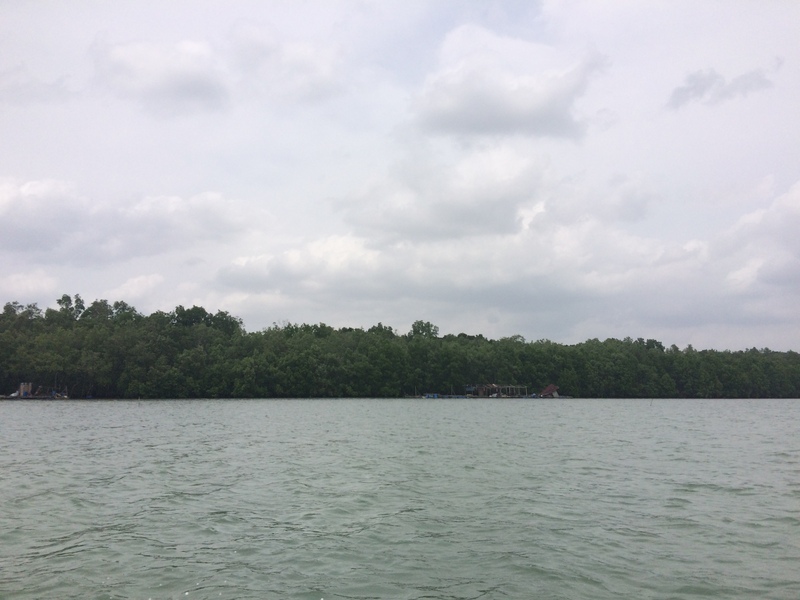 We have lived and worked extensively in aquacultural communities in Southeast Asia.Stakeholders there know that mangroves are valuable, but they often lament that it is impossible to know how valuable. Thus, shrimp pond expansion always tends to win when making development decisions. In addition, many of these values studies lay behind pay walls, in Journals written in English, and are generally hard to find by those outside of the academic community. The planning function in CapTURED changes all of this. Stakeholders input specific attributes of their community, including location,specific species, desire for intensive or extensive pond form, average pond size, and total mangrove cover in their village. They can then view how their decisions change the DOLLAR value of their immediate ecosystem, leaving behind abstract notions of conservation. Where do these dollar values come from? Studies show that mangroves provide millions annually to coastal communities by sheltering them from coastal flooding and storm surge during tropical weather events. 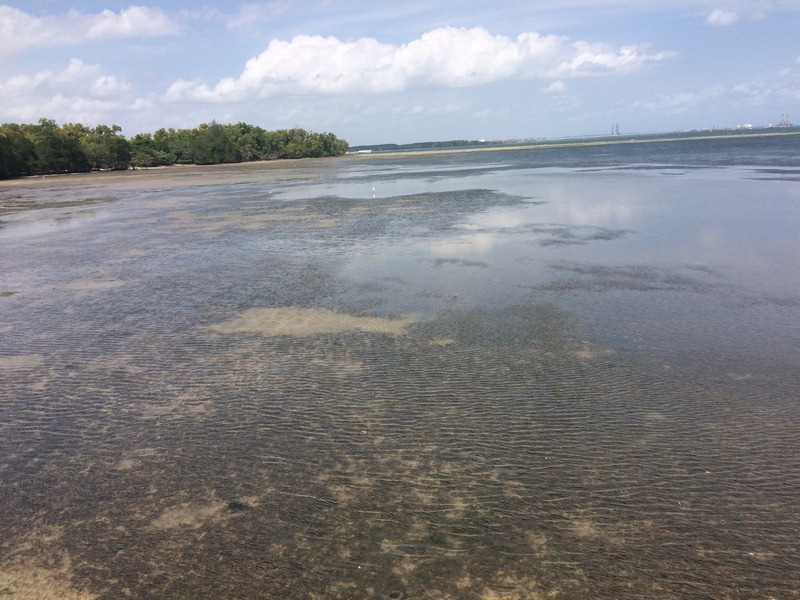 Mangroves also act as nursery habitat for every commercially critical fish species in SE asia. Lastly, and possibly hardest to see, they cycle nutrients and human waste, cleaning the local water supply. The most critical innovation in this tool is that is moves the idea of “non-use value” into an easy to understand and easy to see concept. What was once really only accessible to researchers and decision-makers can be seen in the communities making decisions about resource use. The second part of the tool allows stakeholders to collect, view, and share data on their specific farm. They register with the site via mobile device and input data from their own day-to-day use directly into an easy to use interface. and a section where they can record daily outbreaks of disease including white spot and early mortality syndrome, which plague the pond farmers of SE Asia. Once they submit their data, the following screen is a dashboard with everything mentioned above, but also with an alert screen, that informs the farmer of nearby diseases affecting farmers in a 20 km radius, as well as the real time market price data on price per kg of the species that they farm. CaptuRED empowers fishing communities with a more complete picture of their local resource stocks. 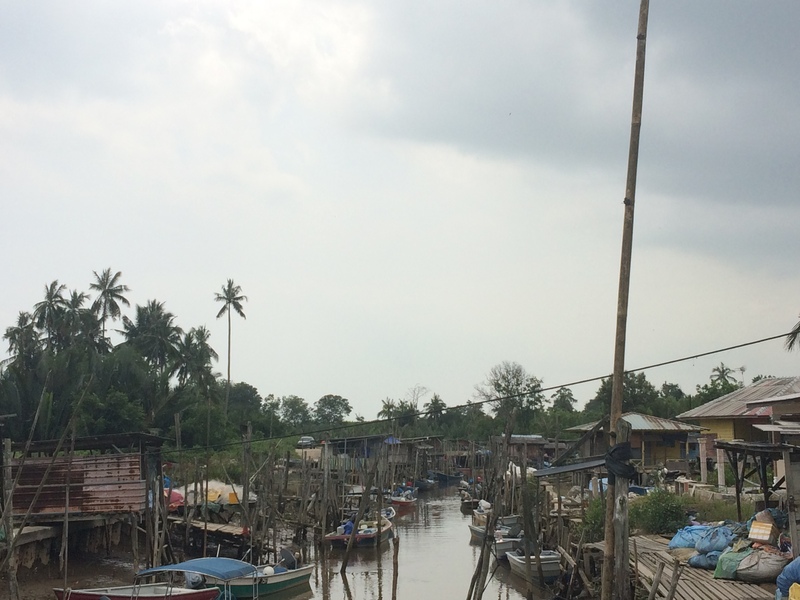 communities that rely on both aquaculture and small scale capture-based fisheries with hand nets and pole and line, as is common throughout SE Asia. complex relationships between habitat and farming, such as valing shrimp farms that occur behind the mangrove line.